The first time I read work by Victoria Bennett was years ago when I came across Shakespeare’s Apprentice. What an astonishing talent this writer is! I couldn’t put this title down. 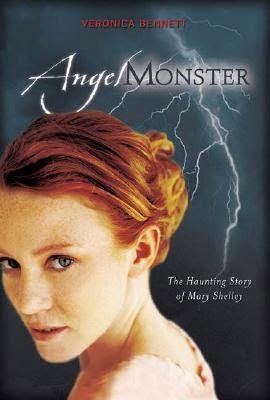 Angelmonster is a mix of history and fiction. These combinations inform and entertain simultaneously. We share the life of Mary Wollstonecraft and her fierce passion for the poet Shelly. Sorrow at the loss of their children to illness is juxtaposed against the flame that burned between them. There is an astonishing sadness when human weakness leads to betrayal and loss of trust between the deeply loving couple. I devoured each page of this stunning portrayal of life between these two famous people and the incredible strength of their love. It was perfectly plaited into the beauty of the settings, descriptions of scenery, and powerful prose. The depiction of Wollstonecraft’s strong, independent and rebellious spirit, and her outspoken nature that was never bothered by conventions or religion, is superb. Bennett has captured the era and the language of the time perfectly, making the reader a participant rather than an observer.